A group of teenage friends are found dead, their bodies grotesquely contorted, their faces twisted in terror. 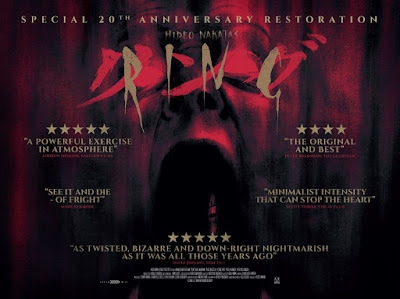 Reiko (Nanako Matsushima, When Marnie Was There), a journalist and the aunt of one of the victims, sets out to investigate the shocking phenomenon, and in the process uncovers a creepy urban legend about a supposedly cursed videotape, the contents of which causes anyone who views it to die within a week – unless they can persuade someone else to watch it, and, in so doing, pass on the curse…. RING, will release in cinemas 1st March 2019. Collection featuring Ring, Ring 2, Ring 0 and Spiral 18th March 2019.